Many of us live busy, scheduled lives. Stress is a given but our bodies and brains try to adapt to allow us to get stuff done. However, our hormones are primitive – they are the same hormones that our paleolithic ancestors used when dealing with the stresses of being chased by a predator or starving during the winter. These ancient “problems” caused the stress hormone cortisol to be released and shift the body into an adaptive state which conserved energy and allowed for survival under difficult conditions. Nowadays, cortisol is still released for all forms of stress, but our definition of stress is different. Cortisol levels rise with intense exercise, mental/emotional stress, illness, busy schedules and worrying. 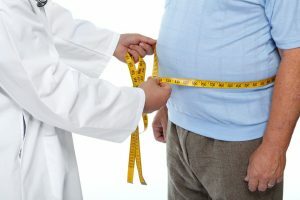 Since cortisol is meant to allow for preservation, sometimes in excess it will do just that – preserve body fat around the abdomen to be used for “later” and prevent weight loss. Because of this, adding in too much intense exercise to a busy, stressful life, the body will sometimes refuse to burn off fat. This is a much oversimplified explanation of the role and importance of cortisol as there are many other factors involved. We can get an accurate assessment of the impact of cortisol by discussing lifestyle, diet and physical symptoms and testing cortisol levels. The best laboratory analysis is the Adrenal Stress Index. This lab measures salivary cortisol levels at 4 different times of the day. It also measures insulin levels both fasting and after eating, an immune system marker, other metabolic hormones (DHEA, progesterone 17-OH) and antibodies to gliadin (a relative of gluten).Click HERE to see a sample report. Once cortisol patterns are established, health advice can be given to adjust back to a normal rhythm. Adding in de-stressing activities (yoga, meditation, journaling, walking etc) along with the proper nutrition, supplements, herbs and acupuncture can shift the balance. As long as the body is given what it needs to feel supported and “relaxed”, the equilibrium shifts away from stress mode and more into rest and digest mode. A category of herbs used regularly by naturopaths is adaptogens with examples being rhodiola and ashwaganda. These herbs have the ability to regulate cortisol levels according to what the body requires. In times of continuous high stress, cortisol and adrenal up regulation can be lowered and the opposite occurs when cortisol is too low to keep up with demands. To learn more about testing adrenal and cortisol function and corresponding treatments for weight loss, please email or call Vitalia Healthcare.